For a long time while I was learning photography, shots like this came from getting “lucky”. But the only surprise this night was a pair of underwear someone had thrown onto the rocks in the foreground. I can only imagine what scenario led to that (someone has a good story). I couldn’t safely scramble to move them, nor did I find that idea particularly appealing. Thankfully, the clone stamp tool in Photoshop does an excellent job of getting rid of whitey tighties. I used to shoot very casually. Go out and explore, come back with whatever I can. I still do that these days, but I’m much more strategic for many of my shoots. 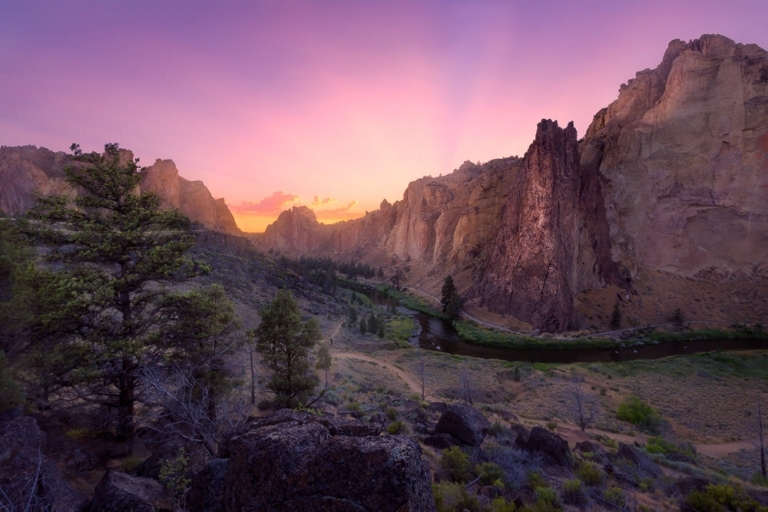 This particular night at Smith Rock in Oregon was a classic example. I was out in Oregon with family, so casual shooting was out if I wanted to shoot anything worthy of my portfolio. The best light is right after the dinner hour, and all the kids want to play every night before bed. Never an easy scenario, but I had to contend with a 45 minutes drive on top of the timing conflicts. Thankfully, I’d prepared to get this shot. First, I communicated with the family in advance to set expectations and ask permission to sneak out for a couple hours one night. All the planning in the world wouldn’t matter if I upset everyone in the process. Even though dinner hour is a special time for us together; they’re supportive, trust that I’ll do my best to minimize my time away, and understand what sunset means for my photography. Second, I did extensive research on possible shooting locations long before the trip. I had several ideas in mind for sunrise and sunset locations. Nothing is ever guaranteed, but if you plan ahead, you should have a good idea what you’ll encounter on site. That includes not only the subject, but also planning for how long it will take to get there. I knew that I could be in position in just under an hour, and back out my time to leave based on sunset timing. I literally finished up dinner with everyone, made the drive, jumped out and got this shot 10 minutes later, and was home before everyone was in bed (at least the adults). Lastly, you need to keep an eye on the weather. I knew where I wanted to shoot, but I wouldn’t be able to drive there multiple times. I kept a close eye on the weather to know exactly which night I should make the drive. Weather for photography is a very complicated subject, but mostly revolves around understanding clouds. For a colorful sunset, you want to look for a modest amount of cloud cover (ideally higher clouds to reflect the sun’s color). So next time you find yourself scrambling to find a good subject or light on your family trip, think about how you might plan ahead on the next trip to try and have it all. Your photos will be better, and your family will be happier. 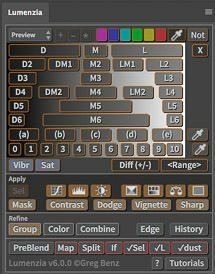 Review of the Nikon D850 for Landscape Photographers »« Luminosity masking in Lightroom?